Address: 510 East 14th St.
What's the difference between an old drunk and an alcoholic? 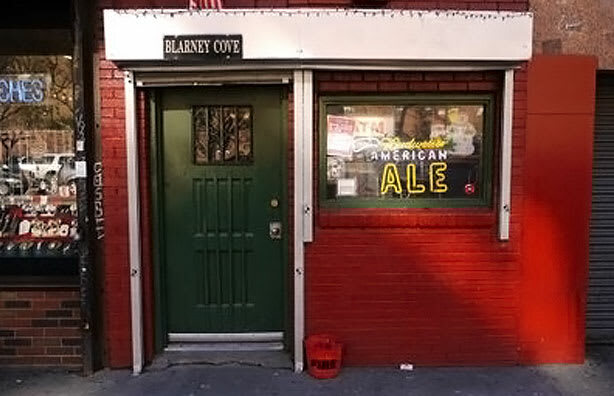 Whether or not they're drinking in the dingy hallway that is Blarney Cove. When you're here, you're family. You're imbued with the weary charm of an endless night of drinking at one of New York's finest. You're welcome. But if you're young (under 70), you'll only be sight-seeing here. Sight-seeing is a facet of every dive experience. Wave your hand in front of your Bud bottle and realize that it's a crystal ball. In forty years, you will be punching in the number for the same Black Sabbath wailer you played two hours ago, but no one will notice. Nothing even matters at Blarney Cove. There's always another day and another beer. That'll do.